If you are looking for ways to get into investing, then you are probably also looking for tips on how to do it successfully. You also might want to take a look at all of the different options when it comes to investing. It is never too soon to start worrying about retirement and investing is a great way to make sure that you will be able to retire comfortably when the time comes. Here is a look at some of the best tips on investing. If you are one of the people who think, “ I don’t know how stocks work,” or, “What is Genesis Mining?” it is time to make sure that you educate yourself. You really don’t need to be the next Warren Buffet in order to gain a bit of working knowledge when it comes to investing and retirement. Just pick a few different things that you don’t have a good understanding of and make a goal to learn about them. For instance, you might want to learn the difference between Bitcoin mining and flat out buying and selling Bitcoin. It doesn’t matter if you are trying to start investing when you are young, or if you are starting out a bit later in life; you need to determine what your limits are when it comes to risks. If the market happens to drop, you might look at your balance only to discover that it is a bit lower, and this is something that is going to happen from time to time. However, if the very thought of that is something that turns your stomach, imagine what your reaction will be when it actually does happen. If this sounds like you, then it might be wise to take a bit of the risk off of the table. One rule of thumb is to take your age and use that as a percentage of what your total holdings are for safer investments that are fixed, such as bonds. One of the things that you will want to learn when it comes to saving and investing is how long it will be before you can get your money back. Things like shares in a mutual fund, stocks, and bonds are assets that can typically be sold at any given time. That being said, if you bought when prices were high and sell when they are lower, you will not get back everything that you put into them, and that kind of negates the purpose. Then you have other types of investments, such as IRAs, CDs, and limited partnerships that will put a bit of restriction on the ability that you have to cash in your assets. If you want to be able to liquidate your assets at the drop of a hat, invest in the things that will allow you to do just that. If you are of the opinion that investing in stocks is something that is simply too much of a risk for you, you should know that remaining conservative and trying to avoid any sort of market risks at all can also be a strategy that will lose money. Where there is no risk, there is typically not that great of a return. Staying away from the stock market can also boost your risk for inflation. How much a dollar is worth will go down as inflation goes up. Investing actually helps your money appreciate in terms of value. 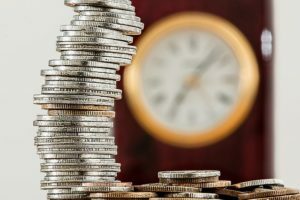 If you are just holding your money in a savings account, you won’t be making any money with it and this can cause it to decrease in value over time as inflation rises. One of the best tips you will get for investing is to read. Reading about investing will give you the foundation that you need. It gives you a method of thinking about retirement and a way to look at the investing world. Think about how much of a difference accomplishing just a fraction of what someone like Bill Gates accomplishes would make in your life. For most people, that would be a very large difference. Have you started investing? What tips do you have for those looking to start investing?